Hotel Hoffmeister & Spa, luxury and romantic hotel in the center of Prague in Lesser Town. Hotel Hoffmeister is also renowned for its luxurious Lily Wellness and Spa. The hotel is inspired by the romantic atmosphere of Old Prague. 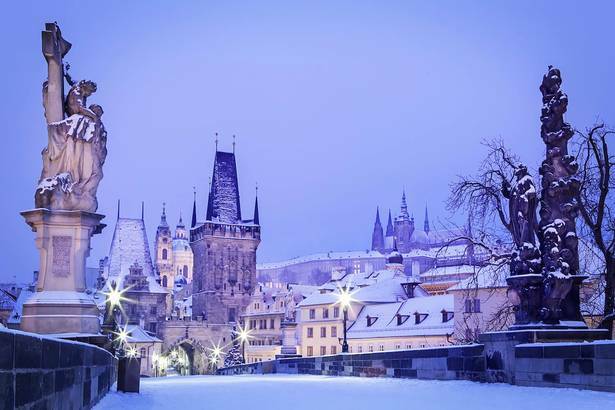 It´s located at the foot of the Old Castle Steps, center of Prague and it´s all historical sites and attractions – Old Town, Prague Castle and Charles Bridge are just a pleasant walk away. Luxury five-star accommodation, professional service and homely comfort at the family-run Hoffmeister Hotel are the basis of a high standard. The family atmosphere of the Hotel Hoffmeister is multiplied by the gourmet tradition of the Hoffmeister Restaurant. Our hotel is an ideal place for your family anniversary, romantic honeymoon, vacation or just a business trip. Among the top hotels in Prague the Hotel Hoffmeister is also renowned for its unique Spa and Wellness area. When reserving a room at our official web pages, hotel guests will receive for free 30 min private access to our hotel´s spa (sauna world or whirlpool). We recommend you to send us your reservation in advance at: spa@hoffmeister.cz, or put it as a comment in your hotel room reservation. Hotel Hoffmeister & Spa offers secured underground garage parking. The price is EUR 15 per day for guests who book a room directly with us. If you book a room with 3rd party the price for parking is EUR 24 per day. For free as a first hotel in Prague we offer 2 stations for electric vehicles (TESLA, UNIVERSAL). Hotel Hoffmeister & Spa is located in the center directly under the Prague Castle in the UNESCO Heritage Side in Prague 1, Lesser Town. All the historical sides and attractions are just a pleasant walk away.